Can a new technology, such as the Coravin (www.coravin.com), bring back the need of a very old tradition, natural cork, and make useless what was supposed to be the future of closures i.e. screw caps? As reality in the wine industry keeps changing, I agree with Randall Graham when he says that “reports of the death of #screwcap slightly premature”, but I also thought it was premature when he, Jancis Robinson, and others declared the death of the cork back in 2002… and now I am certain. 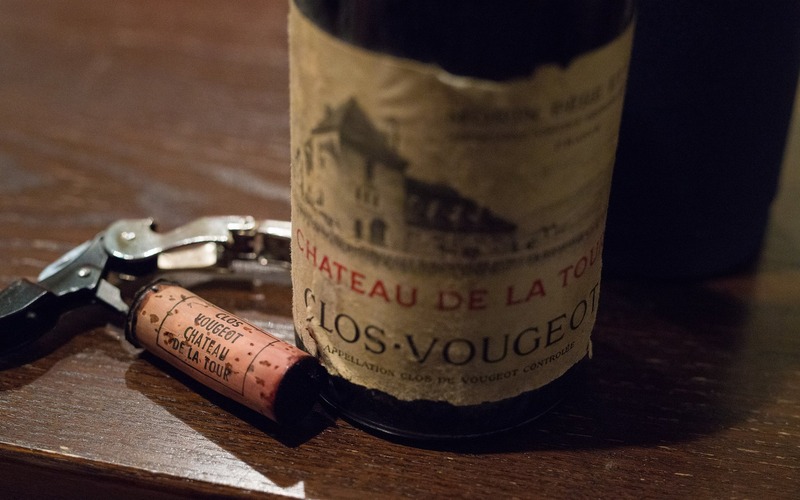 Natural cork was never dead but, if it ever were, the Coravin system would be resurrecting it. You don’t know what Coravin is? It’s a preservation system and a new way of serving wine and it only works with natural cork. Natural cork is a porous, flexible closure, which can reseal itself after being pierced by Coravin’s surgical grade needle. It doesn’t work on screw caps (for obvious reasons) and synthetic closures because, unlike natural corks, they cannot reseal themselves. Portion control and preservation are the biggest benefits of this system. The user is able to serve one glass at a time without compromising the wine in the bottle by exposing the liquid to more oxygen than it can withstand without deteriorating. I can’t be alone in this, can I? Will this cause an industry wide reaction? Will retailers and restaurateurs do the same? Will consumers be more willing to purchase expensive bottles if they know that they can drink it over the course of a few years rather than a few nights? Yes! Imagine not having to agonize over the perfect time to open that “birth year bottle.” Have a glass every year on your birthday to see how the wine is evolving. Even if consumers only buy one more ultra-premium bottle per year it will have an impact at the retail level. If the customer is buying, the retailer should be stocking. In fact, they should be stocking the Coravin right next to the walk in wine cellar to entice the customer! The impact should be similar on premise. Theoretically, restaurants now have the ability to pour a first growth Bordeaux by the glass. Before Coravin this would have been impossible because the restaurateur assumes the risk of the wine deteriorating before the entire bottle is consumed. While the jury is still out on the rate of deterioration, initial taste tests by wine experts including Masters of Wine and Master Sommeliers have shown that there is little to no change in the wine texture of flavor after using Coravin. This should be exciting and attractive news for diners who can’t afford to purchase the entire bottle or simply want a taste or a test drive of a wine they have always wanted to try. I believe that this will have an impact at the producer level as well. The wine industry is highly reactionary. It reacts to consumer demands just like every consumer driven industry. In fact, the prevalence of screw caps is due largely to consumer demand, which expanded further when certain critics suggested that they could perform better than natural cork. The appropriate reaction should be a return to what has been the choice of closure for centuries: Natural cork (you can read more about it here: http://www.corkforest.org/history_of_cork.php). The truth is: With this new technology, there is no room for an impenetrable closure. I have already changed my buying habits because of it. If I can avoid buying a wine under screw cap, I will. 1) I’m not sponsored by Coravin. Not yet anyway… I had to buy mine at Amazon, but I hope that Greg Lambrecht (the founder of Coravin) will see my efforts and will start to ship me some free argon capsules! 2) The #winelover community is sponsored by Amorim. If you want to see this article as a “thank you” for their generous contribution to the celebration of our 3rd anniversary in Portugal … it’s because it is! 26 Responses to The Death of Screw Caps. I can’t agree with you more Luiz. I am Greg, the founder of Coravin, and I must admit, I hate screw tops because they prevent me from drinking wines the way I want to, which is any volume, any time, without compromise. 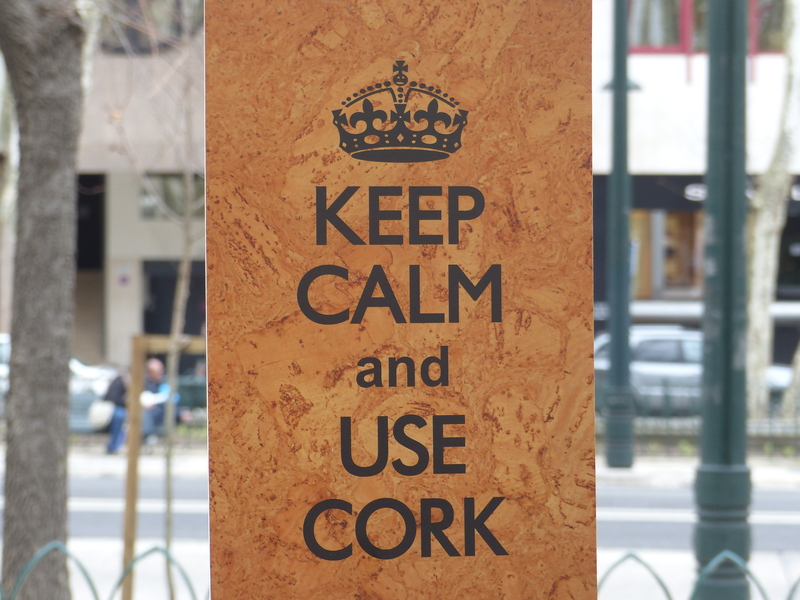 I love cork and it’s incredible elasticity and longevity! I celebrate anytime a producer shifts back to cork. That said, I’m working on a system that works with screw tops. It won’t be as good as cork, but pretty good. I will use it, and I hope to make it available to all if I can. My preference in the end however, will always be for the beauty of the natural cork. Thanks Greg! The wine industry needs more people like you! I can’t remember the last invention that made me as happy as your Coravin… Cheers!! The problems that screw caps solve, TCA, dwindling supply, quality control, and even improving young fruity wines, are not impacted by Coravin. Coravin itself a solves some problems, like the expense and space of a gas displacing wine system, but using argon in such systems will likely make them just as, or more effective. I think Coravin is a great idea, now that it doesn’t make bottles explode anymore (sorry Greg) but I don’t see any reason to believe it will make screw caps obsolete. Stephen, thanks for taking the time. I (sadly) agree with you that Coravin will not make screwcaps obsolete… I was just hoping it would… Cheers! Personally, I never travel anywhere without a cork screw (or an Ah-So) but we are not exactly the typical wine drinkers. I realized then what a boon to casual wine drinkers the screw top really was. Easy to open, and easy to close. While the Coravin makes it possible to enjoy a bottle of wine over potentially years, a screw top brings that type of convenience to those who would enjoy a refrigerated wine over a couple of days or just want something that doesn’t spill in their picnic basket. Through all my years I have championed bringing the joy of wine to the masses, even casually, and the screw top is one facet in that gem. These are all fair points. However, I could only dream that “typical wine drinkers” would read my blog, but they simply don’t… so, I write having in mind that I have a very selective audience of people who, like you and me, really love wine. With that being said, I bought my Coravin for a few reasons, but this is what made pull the trigger: I’m preparing for my MW exams in June and I have do to blind tastings daily… How many people would buy a US$ 300.00 device for this reason? A better reasons than most. When I sat the MW back in the early 90s I spent tens of thousands of dollars on wines to practice on. It paid off from the point of view that I aced the practical (tasting) but in the long run I famously failed only because of my handwriting (literally). Best of luck on the exam, study well, study hard. Thank you, Stephen! I’ll need all the luck I can get… Just to summarize: Coravin changed my life! 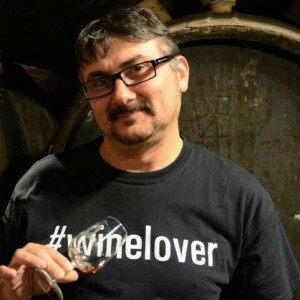 I can now taste multiple wines everyday day without feeling guilty or breaking the bank… I guess I should start a new community… #coravinlover! Cheers!! A real winelover would not ruin so many wines with a outmoded closure. Thanks for the taking the time! 1) You are correct. 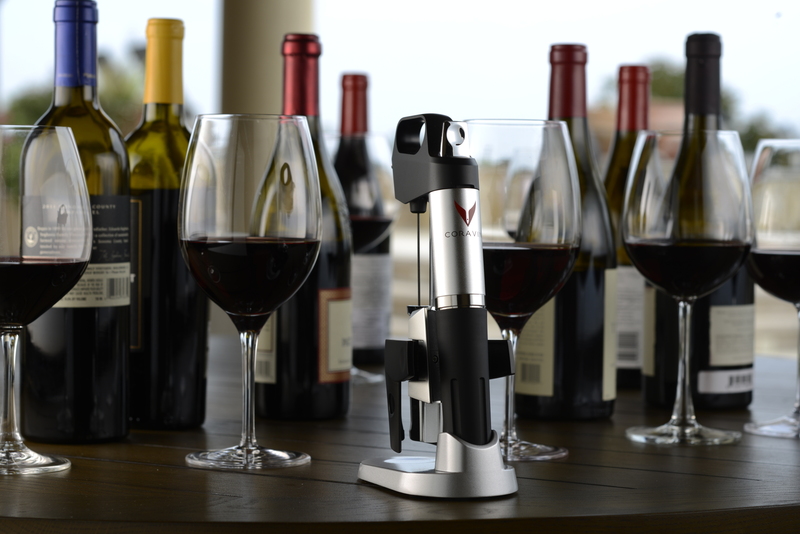 If a wine is corked, Coravin doesn’t fix the problem. 2) I think I can easily say that I’m a real #winelover, can’t I? So I hate to throw away good bottles of wine as you said but, the truth is, it rarely happens… I try wines everyday (sometimes multiple bottles) and I rarely find a bottle that is corked! Why? I believe it is a combination of factors happening: a) The cork industry got a lot better in the last few years (sources say the numbers of contaminated corks is around 2% today) b) People have different thresholds for the perception of TCA. I’m one of those blessed souls that don’t detect 3ppt in a wine. So, if the contamination is very low, even if a cork is contaminated (low contamination), I’m not going to perceive it making the number even lower than the original 2%. With that being said, I think that you (and some others who commented) are missing the point. I said “If I can avoid buying a wine under screw cap, I will.” because I don’t want to open several bottles of wine in a day for my blind tastings. As you said “A real winelover would not ruin so many wines”… Until this day, Coravin only work with natural corks… so, until Greg Lambrecht finds a solution for screwcaps, they are dead to me. As simple as that. Coravin will definitely not replace screw caps and it’s not what it has been created for. And I’ll repeat what I just told to Helmut below. I said “If I can avoid buying a wine under screw cap, I will.” because I don’t want to open several bottles of wine in a day for my blind tastings. Until this day, Coravin only work with natural corks… so, until Greg Lambrecht finds a solution for screwcaps, they are dead to me. As simple as that. I have a question for you though: What do you think of bag-in-box? Wouldn’t they be just fine for the young wines you were talking about? Hi Luiz, thanks for your answer. I respect your and Greg’s opinion about screwcaps. I just would like to mention that the reality of markets is pretty different. Screwcaps is appreciated by consumers, mainly in countries where this systems is widely used; New Zealand, Australia, Germany, Austria, Switzerland. 30 years ago, consumer were not happy about screwcaps in these countries… nowadays they are all convinced. I like Greg’s Idea about a Coravin system for screwcaps. I’m sure there is also a market for it. I also understand the tasting argument. In this case, as there many different bottle sizes with screw caps, why not transfer the bottle’s contain in a smaller bottle and fill it up again? Oops, that was supposed to go to Luiz. Yes, I saw that… Thanks Stephen! As someone who lives in country (Australia) where the majority of wine is ‘screwcapped”, I kinda sit on the fence a little. Some of Australia’s top wine producers e.g. Penfolds, Vasse Felix, Leeuwin to name three, put their premium wines under screwcap. We mustn’t forget that it’s thanks to the growing popularity of screwcaps that the cork industry has radically improved it’s cork and the incidence of cork taint is now done to 2-3 % from almost 15% a few years ago. An alternative to the Coravin so that you can extend the drinking life of any bottle is “SoWine Home Wine Preservation Bar”. Haven’t bought one yet but would be interested in hearing if any one has. That’s a great point! I believe that screwcaps made corks a lot better than they used to be! Cork taint is now down to 2 or 3% (depending on the source). In regards to Sowine, as I understand it only preserves opened wine up to 10 days and that’s not good enough for my purposes. That’s why I felt in love with Coravin! It allows me to open many bottles without having to consume them in the short term. The two things that make Coravin special are the needle that allows you to extract wine through the cork, that is unique. The other is the use of argon, rather than nitrogen. This aspect can easily be copied on any wine bar, and possibly should. I once tasted a wine that was blanketed with argon, in an open glass, for a week. It was fine. Argon is so much heavier than air (which is mostly nitrogen) that it creates a much better buffer against oxygen than nitrogen does. Bag in a box… I want to love them, I do, but… I did a blind tasting of a wine that was placed both in a bag and a bottle, six months after “bottling” and the bag was noticeably inferior. It was one test with one wine – it is rare to have the opportunity since few wines are offered both in bottle and bag. It may have been issues with the filling, since that was a variable, or perhaps this particular bag and spigot brand (two samples of each were tested, so it was not the individual bag). I am not so certain that a bag is equivalent to a bottle, even for the lowest end wines. Glass allows the molecules to bounce off the sides, allowing for an evolution of even rudimentary tertiary aromas, bags do not. I see a difference in large format (>3L) bottles that is similar (I am not saying that bags and oversized bottles are the same, but I sure would love to test them). Bags are great for making sure the wine doesn’t change, but wine should change, even simple wine. I leave the screw cap argument to others. Low end, low cost closure have their place. Just as does even box wine in some cases. Re: the Coravin, I”m just not feeling it. Strangely so as I’m a geek, a wine lover, and not very cost restrained in my purchases. And maybe it is all around me but in my fairly extensive community of wine shop and restaurant owners, somms, writers and the natural wine crowd here, it just doesn’t surface. I get it. It seems like it works. Seems like for unique intent could be perfect but I don’t see it changing how the wine enthusiasts from pro to whomever changes their behavior around drinking, tasting and sharing wine. Thanks Arnold! Long time no see… we have to fix that! It’s really strange what you are telling. Have you bought one? A very interesting proposition. Will Coravin become that popular? What percentage of wine – the vast majority of which is consumed within 24 hours of purchase, will seek to be “Coravin-friendly” by eschewing screw caps? I think that it is a long shot that Coravin represents more than a niche market. I agree with you. Coravin is a very very niche market today. But, here’s my question: Is it always going to be like this? Flying an airplane or having a cell phone were once on the same category, weren’t they?